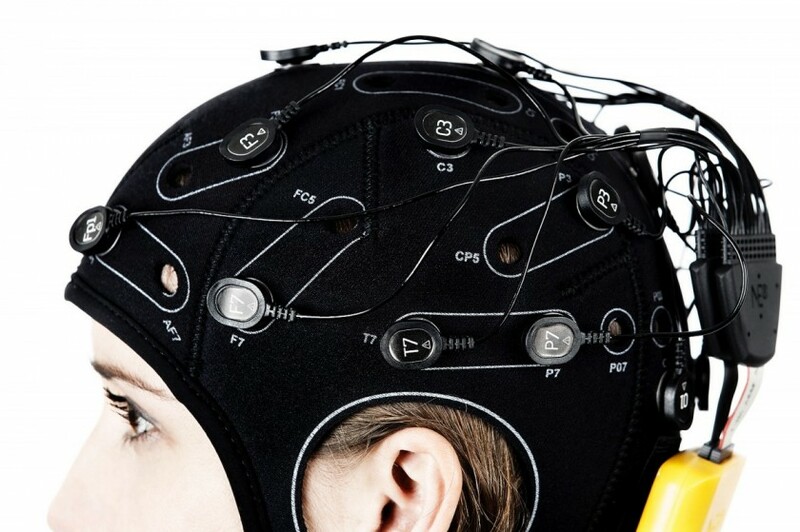 EEG can be used to investigate abnormal brain activity in neurological disorders such as Parkinson’s, Alzheimer or Authism. EEG biomarkers are capable of detecting atypical neural patterns that can be used to distinguish between patient groups and a healthy population. EEG biomarkers have thus the potential of helping clinical professionals in the diagnosis of a wide range of neural diseases. This is the case of Attention-Deficit Hyperactivity Disorder (ADHD), one of the most common neurodevelopmental disorders of childhood that is estimated to affect over 5% of children. ADHD is generally considered to have three component features: 1) inattention, 2) hyperactivity and 3) impulsivity. The degree of each component varies from patient to patient and determines its different subtypes. Its symptoms have a profound impact in the children’s live, academic performance, and social and familiar relationships. ADHD is generally assessed following the DSM criteria of the American Psychiatric Association’s Diagnostic and Statistical Manual of Mental Disorders. This diagnosis is fundamentally based on interviews with the child, parents and teachers. This fact makes ADHD diagnosis subjective and biased towards cultural and clinical practices. As warned by clinical experts, ADHD diagnosis suffers from a high risk of mis- and overdiagnosis. In our work: “Resting Eyes Closed Beta-Phase High Gamma-Amplitude Coupling Deficits in Children with Attention Deficit Hyperactivity Disorder[s1] ”, we wanted to move on from traditional ADHD biomarkers, as for example the theta-beta ratio, that have reported insufficient accuracy in ADHD characterization. We aimed at investigating the dynamic relationships between the different brain rhythms. Cross Frequency Coupling (CFC) analysis allowed us to identify relationships between brain oscillations at different frequencies. In particular, the approach we have used: Phase amplitude coupling (PAC), characterizes the non-linear relationship between the phase and the amplitudes across frequencies. This work has been carried out within EU H2020 Research project Stiped[s2] and is in process of being published in a peer review journal. We investigated PAC comparing a population of 21 ADHD diagnosed children with 30 age matched healthy controls. The experimental protocol consisted on 3-minutes eyes closed where EEG was recorded from central and frontal electrodes using Enobio. In this work we succeed to demonstrate an overall beta-phase gamma-amplitude coupling deficits in the central and frontal region. These deficits proved to be statistically significant in the frontal-left hemisphere (electrode F3). In this investigation we have validated the potential of cross-frequency coupling EEG features to support the diagnosis of ADHD and the reliability of Enobio. PAC has helped us to better understand the complex interactions between slow and fast oscillatory networks and its implications with the attention processes. This work confirms our hypothesis that various brain patterns are abnormal in the ADHD children. These patterns range from classical stationary power measured one electrode (theta and beta rhythms i.e.) to complex synchronization between brain sources. We believe that the combination of all these features is necessary to build a robust, reliable decision support system that could help clinicians in the difficult job of diagnosing of ADHD. In the following years, throughout Stiped, Starlab and Neuroelectrics will further investigate EEG alterations in ADHD children, stay tuned! This entry was posted in ADHD, EEG, Sin categoría.